Noting the distinct lack of community spaces on the high-stress Pittsburgh Campus of Carnegie Mellon, students Max Hawkins and Robb Godshaw decided to build their own. In the winter of 2012, they created The Bubble. 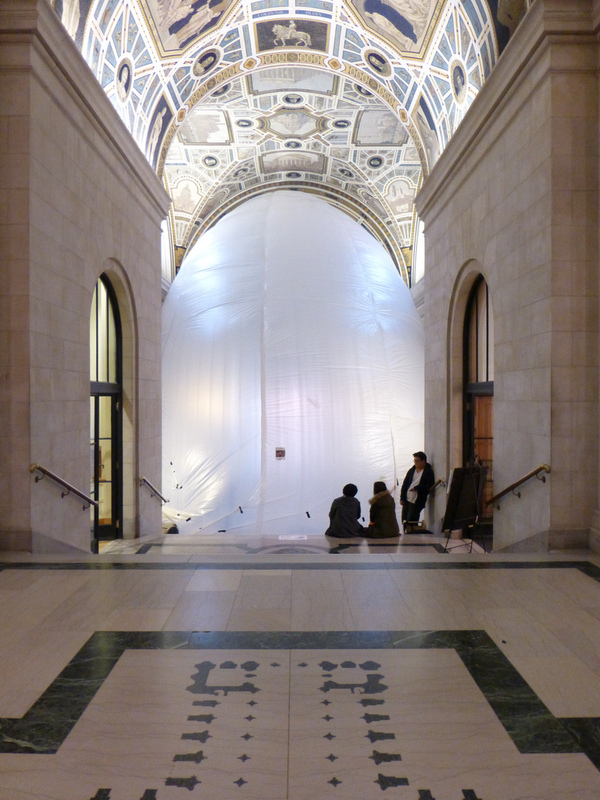 An architectural intervention, this 33-foot-tall inflatable dome converts any space into a protective bubble. 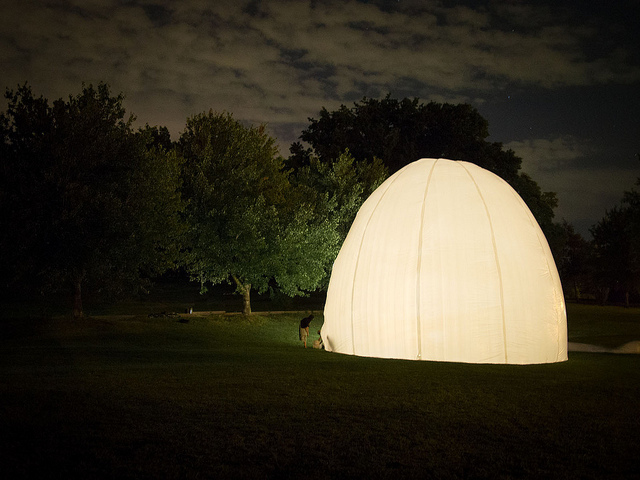 The Bubble is constructed from hundreds of feet of white polyethylene plastic sheeting, cut using computationally generated patterns and heat-welded with custom hardware. The structure is inflated with large ventilation fans. 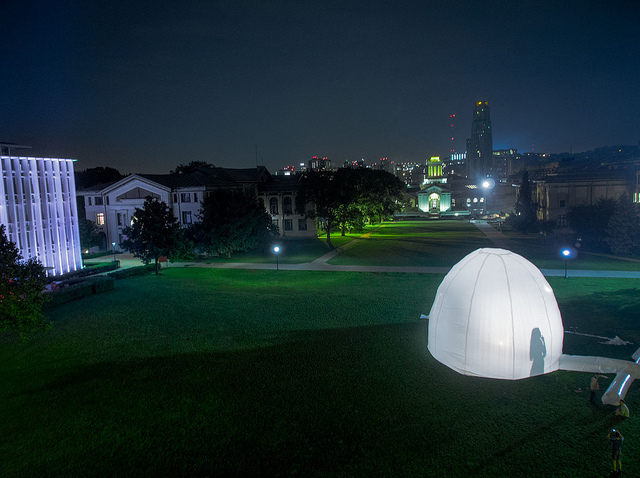 The Bubble was supported by a microgrant from the Frank-Ratchye Fund for Art @ the Frontier (FRFAF)— an endowment founded to encourage the creation of innovative artworks by the faculty, students and staff of Carnegie Mellon University. With this fund, the STUDIO seeks to develop a cache of groundbreaking projects created at CMU — works that can be described as “thinking at the edges” of the intersection of disciplines. Max Hawkins is a graduate of CMU’s Bachelor of Computer Science & Art program. Robb Godshaw is pursuing a BFA for robotic and mechatronic art.